Your adventure is about to begin right here! This is a great book filled with some very fun mazes. 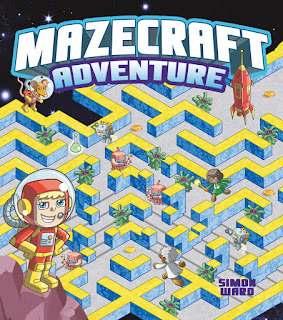 What was fun was that they are not your typical mazes, instead you get fun ones with wearwolves, dragons and more! Some of the mazes do take a bit of effort to get through, but they were a ton of fun to do by yourself or with a friend!